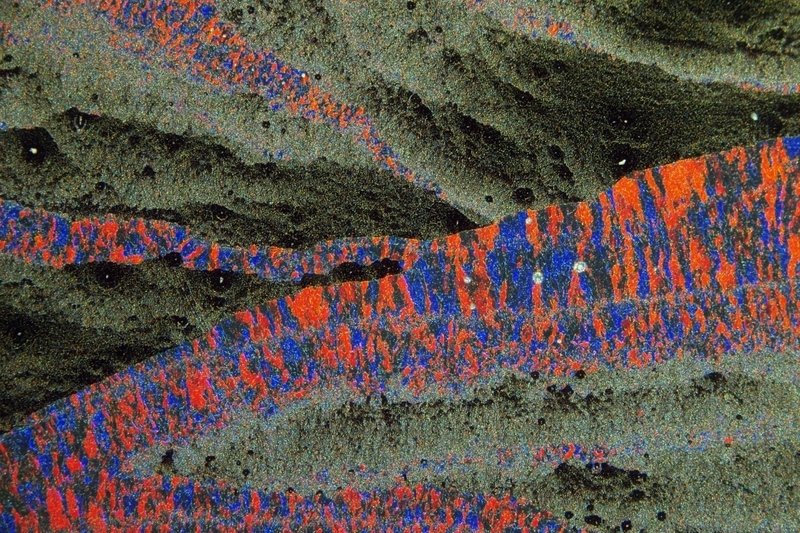 Monodisperse Colloidal Silica Particles, slowly dried on a Glass Slide. 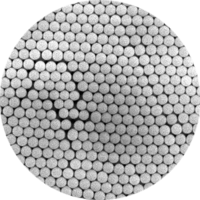 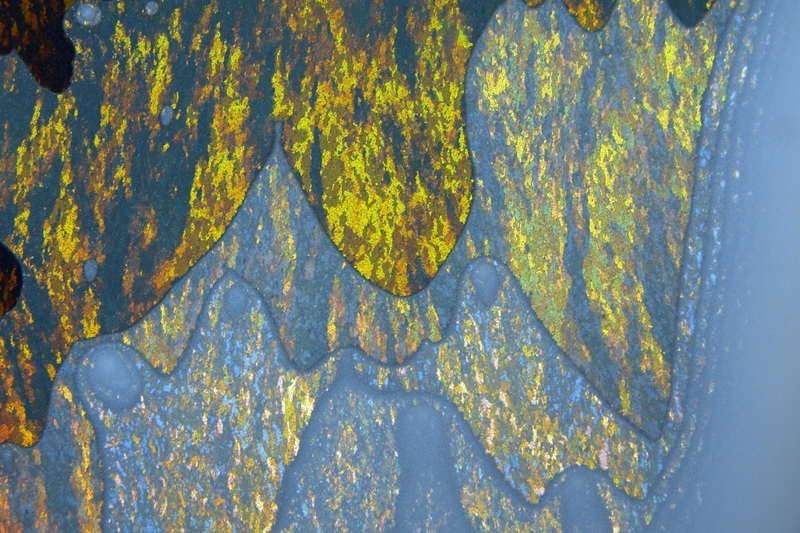 In Dependence on the Particles Size, Numbers of Layers and Angle of Illumination different Bragg Diffraction Colors (Play-Of-Color) can be observed. 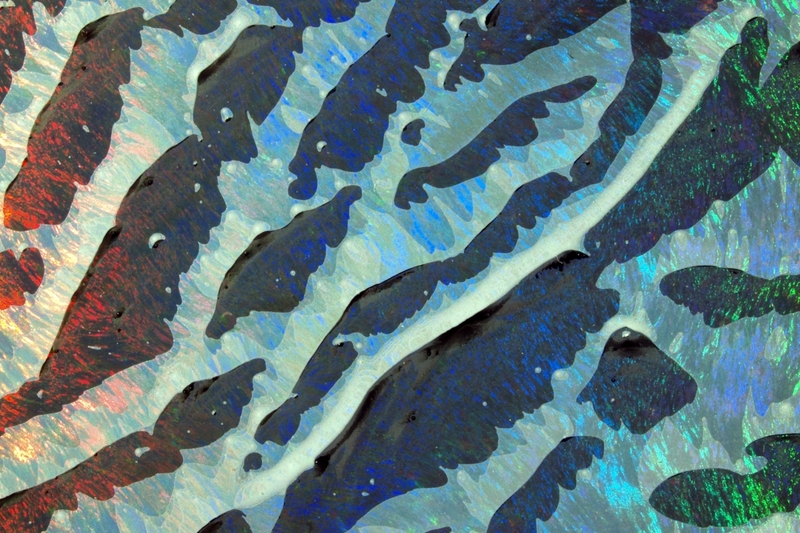 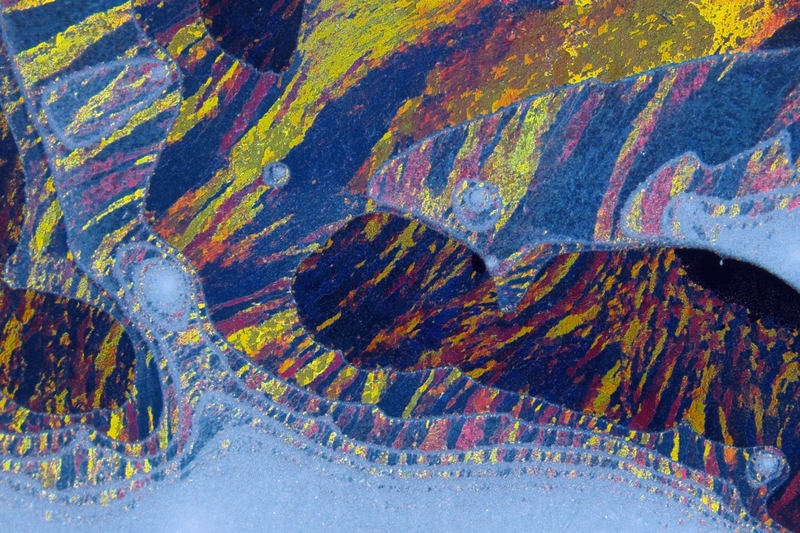 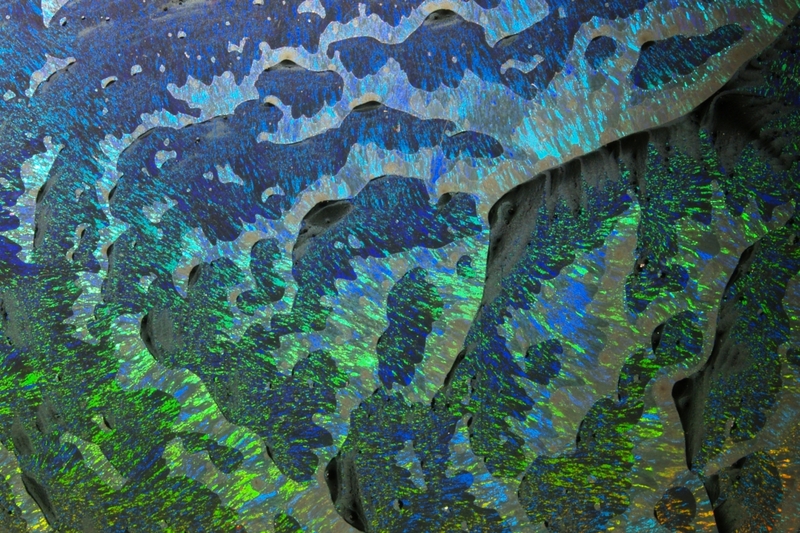 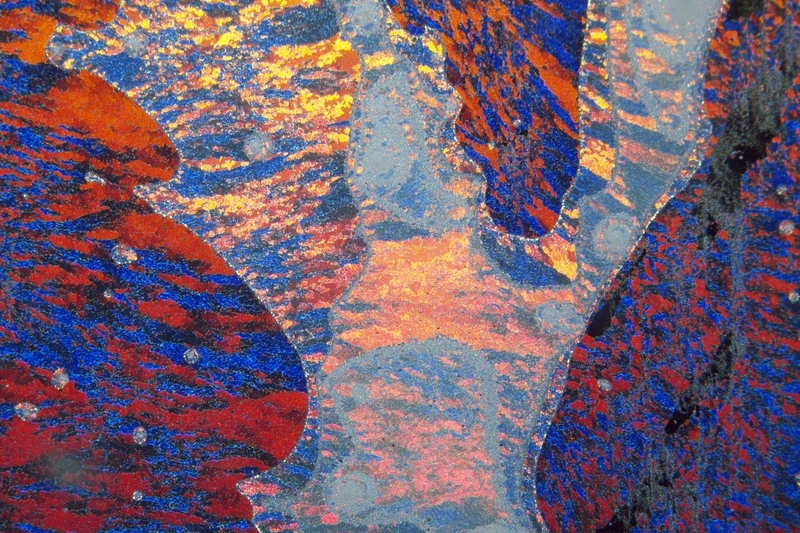 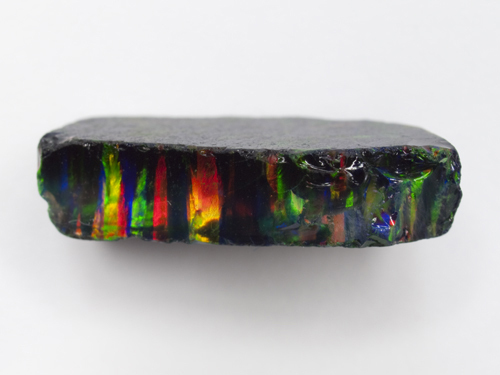 Synthetic Impregnated Opals with Non-Directional Play-of-Color.